Everyone looks forward to that break between Christmas and New Year (well all of us whose offices shut-up shop and we don't have to work!). There's that time between the two though... after you've finished visiting friends and family (or in our case lying around with a streaming cold feeling sorry for yourself) and you wonder if it is entirely healthy to spend every waking hour connected to the Xbox. What to do? Well... there's the 449 (up to 453 by the time I finished typing this post) blog posts Google reader has waiting for me (a number that has reached mythic proportions and has now become Dirk Gently's fridge) - sorry fellow bloggers I've been neglecting you; there's still 30 articles in my 'read it later' folder; there's a pile of magazines on the desk going back three or four months; there's the 'unsorted bookmarks' folder (also infeasibly large). Plenty I could do... so what have I done? Well made a start on the easy part - the read it later and the unsorted bookmarks (that's favourites by the way if you use IE). 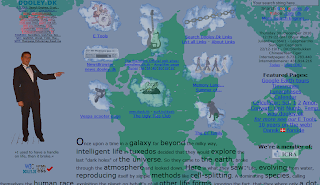 I found a whole heap of websites that I'd like to share. 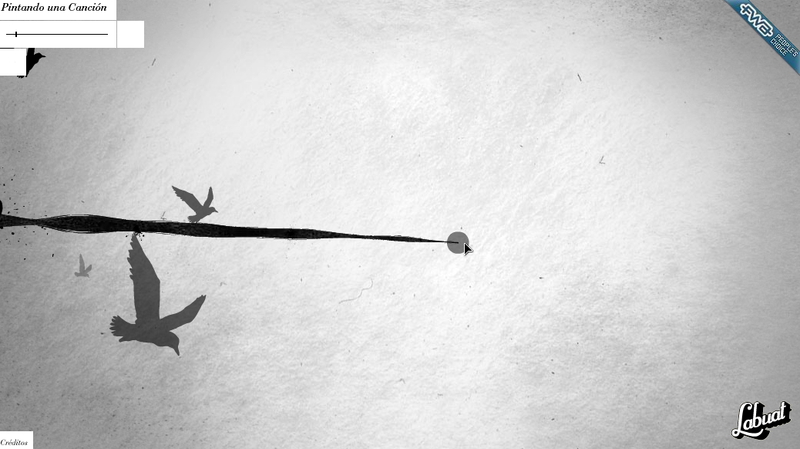 "Soy tu aire" (I am your air) is an interactive promotion for a song by Spanish singer Labuat. 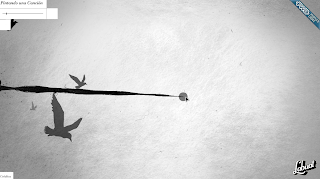 It is a great song which allows you to create an interactive picture which you can then watch again afterwards. "I am your air is a full song of many and few. Of orchestras and threads of voice. Of truths and lies by halves. And since you have arrived we wanted to give you something so that you could move with the song. A brush. Move where you want, where the song takes you. You will end up making your own work that you will be able to watch again as a video, if you want." (Rough translation of the loading screen). 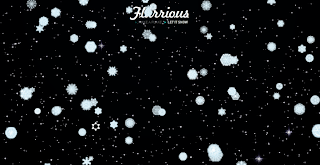 I have told before of Popular Front's Snowdays site but there is another excellent snowflake site Flurrious. 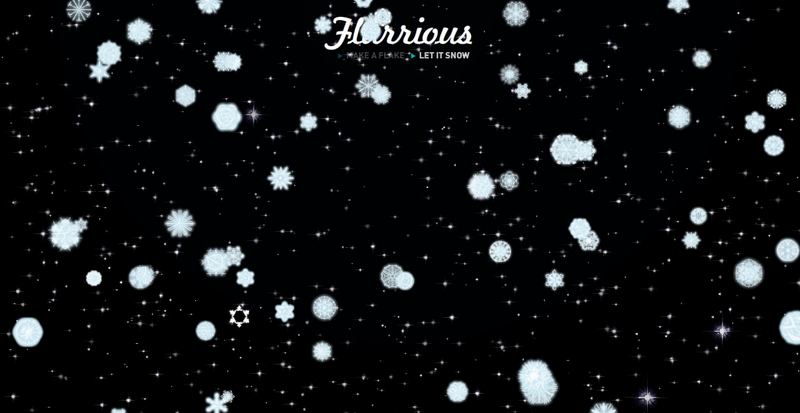 Here you get to draw your snowflake rather than cut it and even give it some sound effects. Hours of creative fun! All the fun of the festive season means that we all need to relax sometimes... and what better way than the sound of falling rain. Rainy Mood is devoted to providing high quality rain sounds. Nothing more, nothing less! 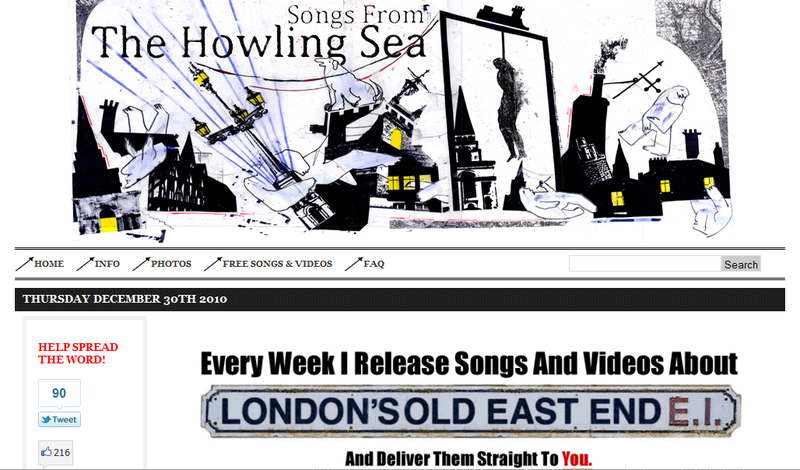 Songs from the Howling Sea is a pretty unique site. 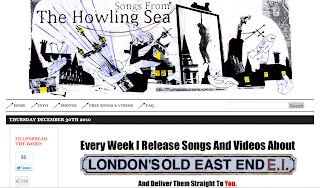 It's best to let site owner Rory explain "Over the course of a year I'm writing and releasing a song every week based on characters and events from London's Old East End. For example I've covered Isambard Kingdom Brunel's Great Eastern saga, Mrs Basil Holmes who saved the graveyards, a crook called American Jack I discovered in a book by Henry Mayhew etc." 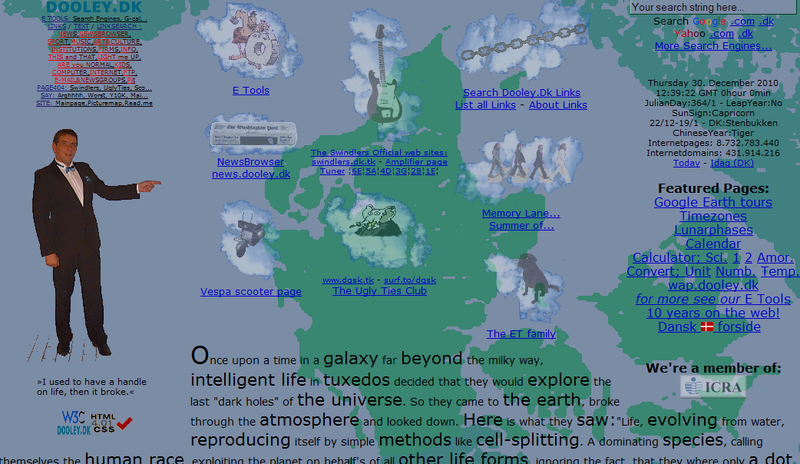 Some sites are just out there because they make the internet a nicer place. One of these is Tom Royal's "Tea and Kittens" site. Casper and Tinker are just waiting for the call to appear (as is my morning cuppa). Lastly there are sites that are just out there to bamboozle. Dooley.dk seems to be one of these. Apparently the site first joined the web in 1996 and it gives the impression that it has just grown organically since then. There are some quite useful tools on the site and a lot of what can only be termed 'random stuff' but it is an excellent way to while away a bit of spare time 'wilfing' around.